A basket full of love and care can make anyone happy. 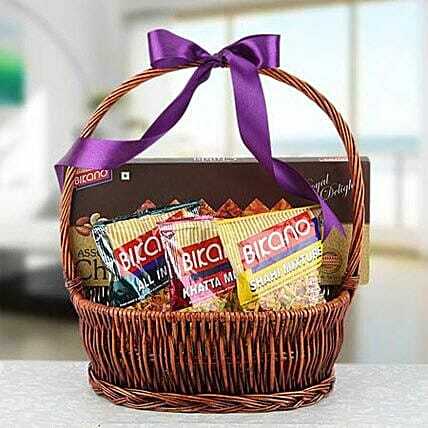 We at Ferns N Petals can provide you with a basket filled with assorted Chikki and some variety of salty mixtures from the reputed house of Bikano. This gift pack is a perfect thing to glare up the festive moments at your home. Please refer to the expiration date on the package and consume your edibles before that.